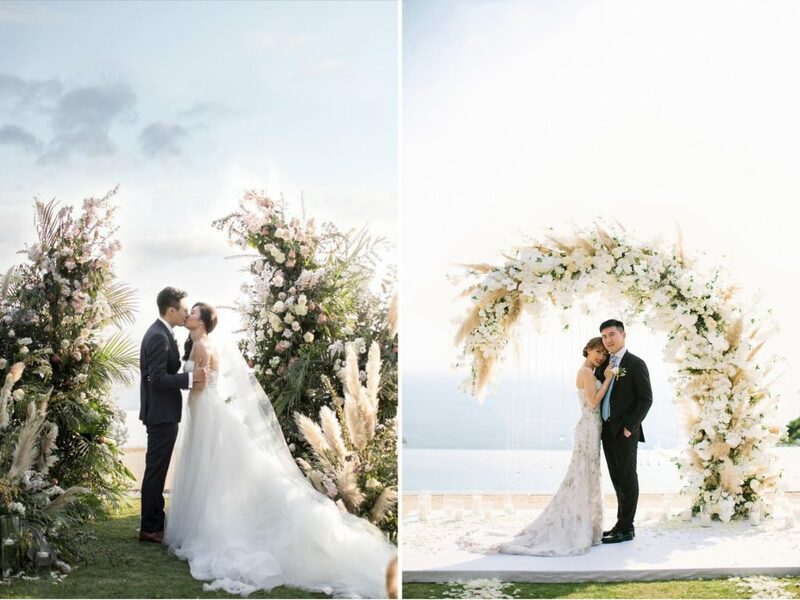 Wedding world just like the fashion world has its trends coming and going.And while your wedding is unique and should reflect your personality rather than be a Pinterest-perfect picture, it’s still hard to completely forgo the trends that surround us at a given year. 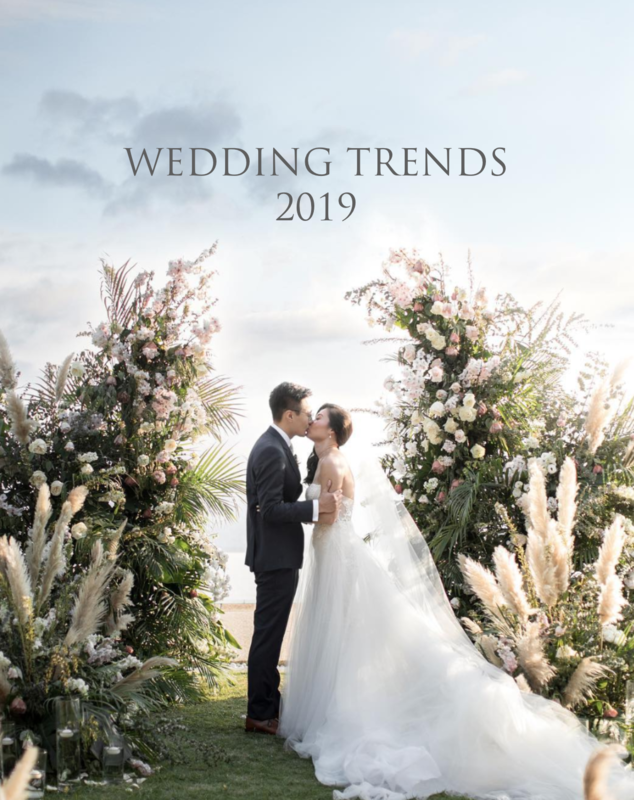 From a chosen Colour of the Year by Pantone Institute, to things that we saw at celebrity weddings, — they are still setting the tone for what is going to be popular in the current year. Today we’re sharing five of our favourite trends of 2019! 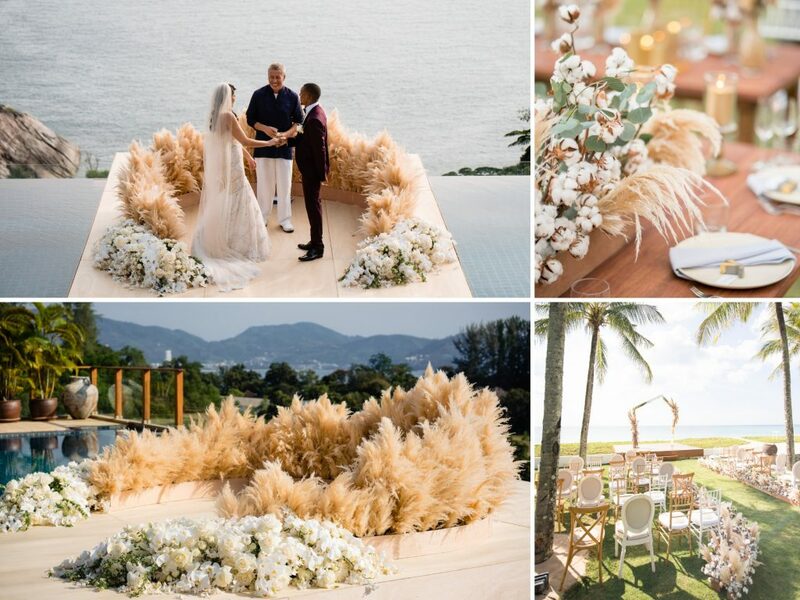 One of the key floral trends of the year, — dried grass and pampas — are finding their way to wedding arrangements all over the world. Whether it’s a string of fluffy gorgeousness on dining tables or a full framing of your wedding arch, they add lightness and playfulness into any look. With the world moving towards more responsible consumption and eco-friendly materials, it is becoming even more so important to be conscious about your choices for wedding decor and details. Foam-free flower arrangements, cruelty-free materials, sustainable, locally-sourced meal choices, — all that and more are what the focus is on right now. Following a period of the minimalistic trend in cakes with a smooth surface, and often just 1 tier, this year is going to be a boom of outstanding, tall, multi-tiered sweet creations. 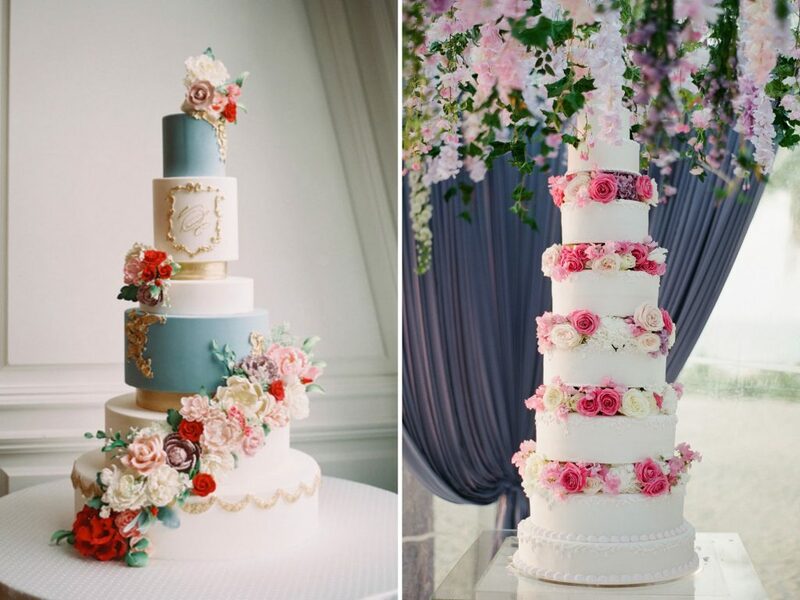 Decorated with fresh or masterfully made sugar flowers, hand-painted and bejeweled cakes can add a touch of glamour to any wedding! 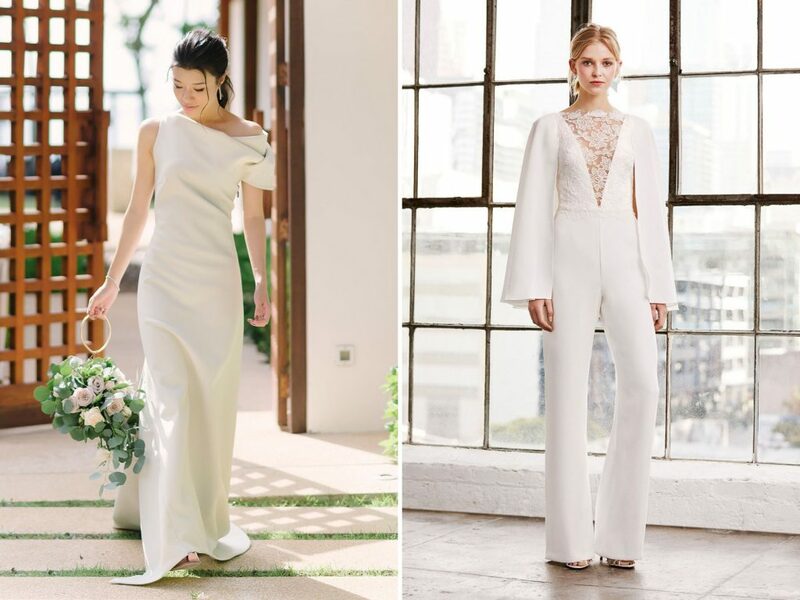 In the time of strong feminist movement, it is no wonder that bridal fashion is also shifting towards bringing in more strength.Two trends are particularly concerned with this: minimal architectural dresses and bridal suits.Suits can be accompanied by a beautiful lace to soften the look, while minimalistic dresses (following the example of Duchess of Sussex) are gaining their popularity more and more, providing a flattering simplistic look and lots of elegance.